Alan Cox Automotive auto repair and service shop in Marietta, GA, has been selected by AAA as an Approved Auto Repair facility. 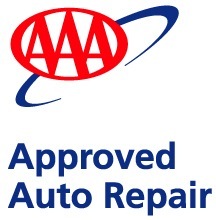 AAA is very selective when they approve a repair shop as a AAA Approved Auto Repair facility. Members can rest assured that these approved shops are reputable repair and service facilities, and that all mechanics are certified ASE or manufacturer certified technicians. Alan Cox Automotive has been in service since 1983 and is proud to be a member of the AAA team. Alan Cox Automotive is now an AAA approved Auto Repair facility. We are proud to be recognized as an Approved Auto Repair shop by the AAA and will continue to provide the very best in service and repairs to our customers. To become an Approved Auto Repair facility shop, Alan Cox Automotive was thoroughly screened on many different aspects of their business. These factors include reliability, honesty, fair prices, cleanliness, training of staff and the repair facility must stand behind the services they perform for customers. AAA Approved Auto Repair facilities are annually inspected, so AAA members will always get great service and repairs from these shops. Alan Cox Automotive has always provided outstanding service to its customers. Becoming an Approved Auto Repair shop by AAA is just one more milestone that this company has achieved to better their business. Alan Cox Automotive focuses on Asian car brands including Honda, Acura, Toyota, Lexus, Mazda, Kia and Hyundai. The company is dedicated to complete customer satisfaction and convenience in scheduled service, auto repair and tire center replacement. Alan Cox Automotive has been in business since 1983 and they specialize in Asian import vehicles. Alan Cox Automotive is located at 1326 Cobb Parkway North in Marietta, GA. They provide many levels of service and auto repair, as well as a full tire center to accommodate all auto service needs. They are open 6 days a week. To schedule a service or repair, Alan Cox Automotive can be reached by phone at (770) 427-1745 or by email. Website and marketing provided by Atlanta SEO Company, Interactive Search Marketing.